If you need to get bank approval for your product then you can easily use our affordable, professional and clean bank landing pages. 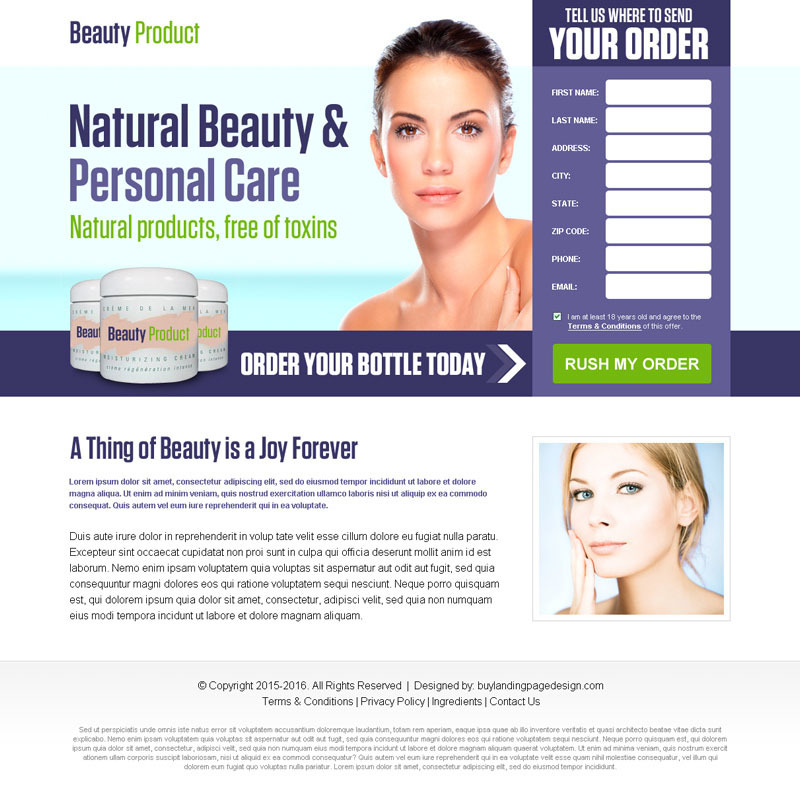 You can use our bank page landing pages for your products like skin care products, beauty products, weight loss products, bodybuilding products, hair loss products, male enhancement product and other product you want to promote in your marketing campaign. On bank landing page design you will get main page + order page + thanks page design preview with html/css files as well as fonts and jpeg preview of design. 4 popup pages like terms and conditions page, privacy page, ingredient page and contact us page are included. 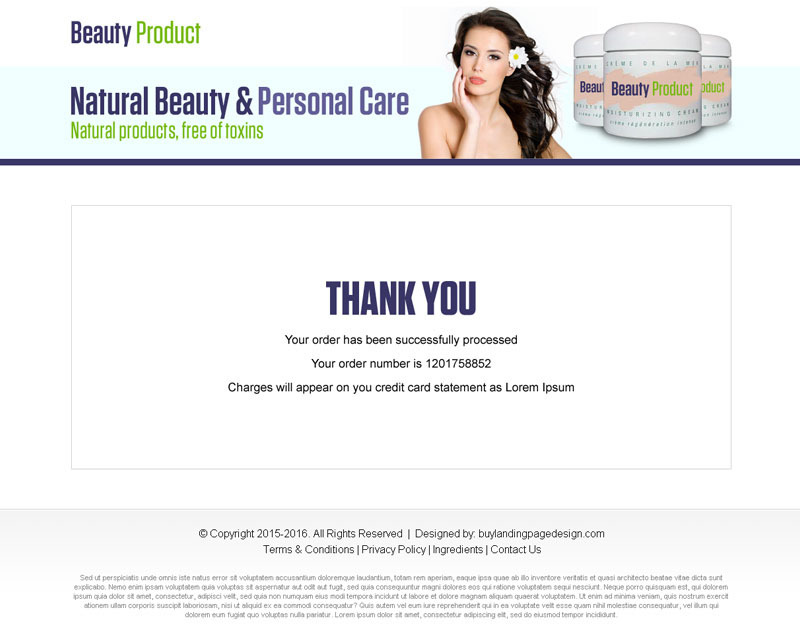 Below is an examples of beauty product bank page landing page design.